After two decades of supplying flexible packaging solutions to an international customer base, KM Packaging Services Ltd knows only too well the importance of speed when it comes to winning new business, and it was this key factor that secured the company its latest order from Australian fresh food producer, GA Zimbulis and Sons. 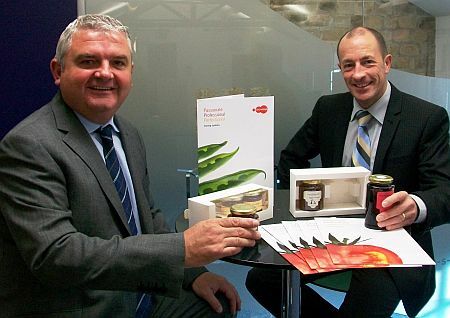 Aware of KM Packaging’s reputation for delivering high quality products in record times, Zimbulis approached the UK-based company to help it meet an extremely tight launch date for a new range of ready to roast meals destined for shelves at a leading fresh food retail chain. Following an in-depth review of the product specifications presented by Zimbulis, KM Packaging was able to quickly identify the most suitable lidding film material, carry out initial performance tests on comparable aluminium foil trays of those chosen by Zimbulis and deliver trial reels overnight to the food manufacturer’s production facility in Canning Vale, Australia. A key requirement of the lidding film was that it would deliver a reliable and secure seal, which would ensure maximum product safety. The material supplied by KM Packaging demonstrated superior sealability and peelability, making it perfect for the retailer to achieve maximum shelf-life and security as well as easy for the end consumer to use. Made from a polyester based laminate, the high barrier lidding film from KM Packaging is perfect for sealing meat products and other gas flush applications. In addition, the film also has excellent anti-fog and hot tack properties. For this ready to roast product in particular, which comes with a watch strap sleeve around the aluminium foil tray, the clarity of the film was essential as this was required for maximum shelf appeal. Commenting on the lidding film, Mr Leen said: “The material supplied by KM Packaging is of extremely high quality. The performance of the film has been outstanding and we are thrilled that our customer has been able to achieve the shelf-life and beautiful presentation that they wanted. This could not have been done without the guidance and expertise from KM Packaging and we would be more than happy to recommend them to food manufacturers all over the world.